This was the class to make a frame. 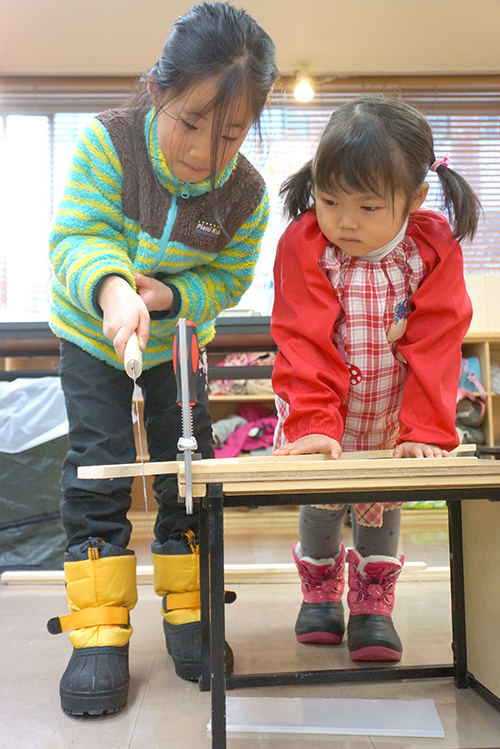 This week, they experienced how to cut wood using a saw. 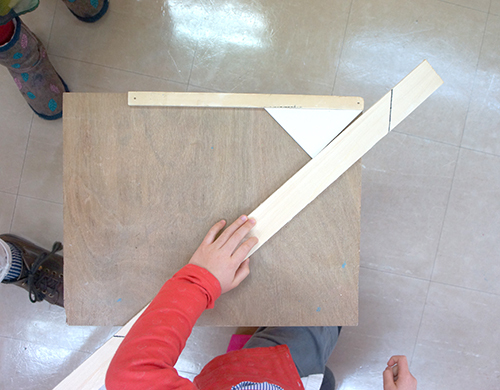 The aim was to cut the wood exactly for each corner of the frame. 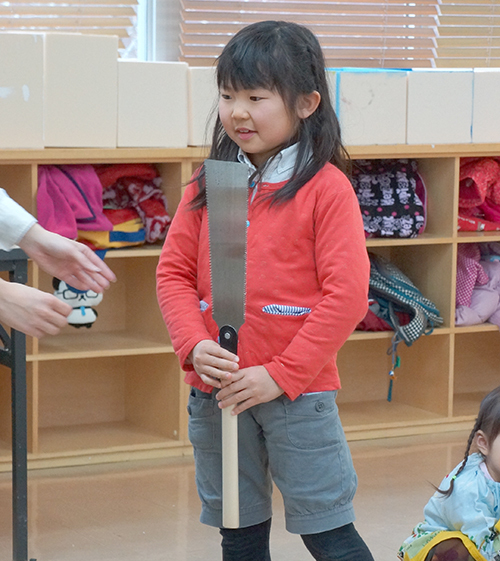 At first, every child looked pretty nervous because the saw looks so dangerous. 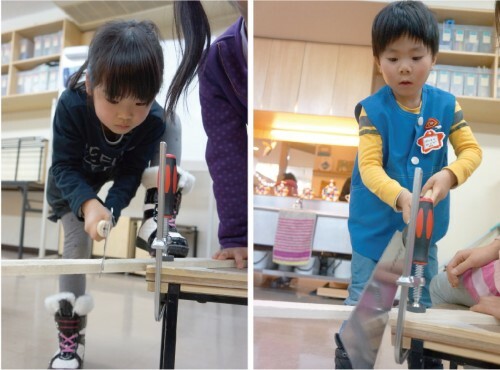 They learned how to hold the wood down, the angle of the saw, and how to move their own arms. Everybody sweated a lot!